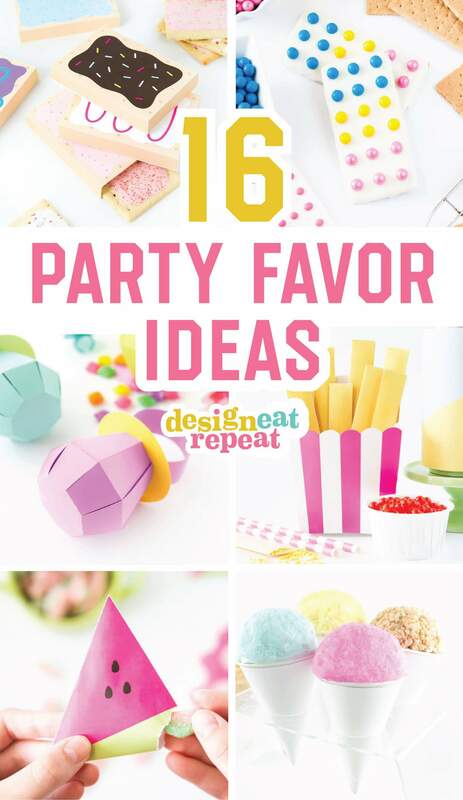 It’s a little too hot here to turn on the oven and bake, so today I’m rounding up 16 of my favorite party favor ideas! 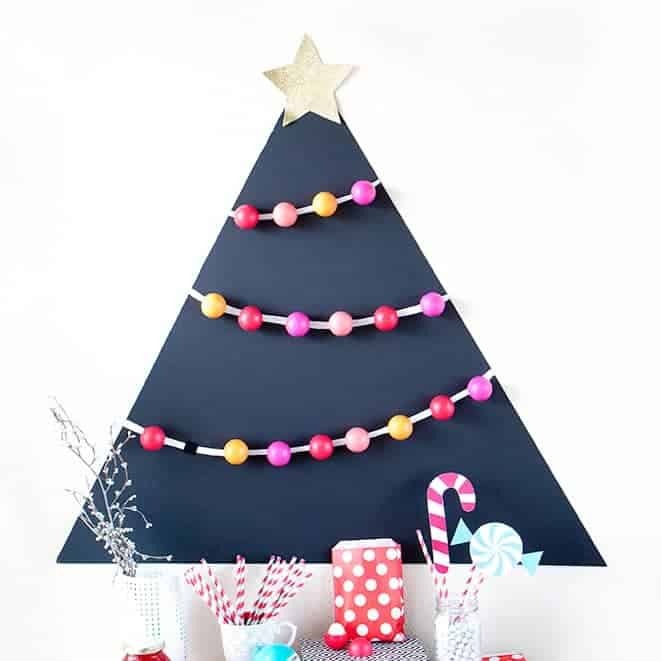 These are great for any occasion where FUN is the theme and many include free printable to make your job even easier. Enjoy! 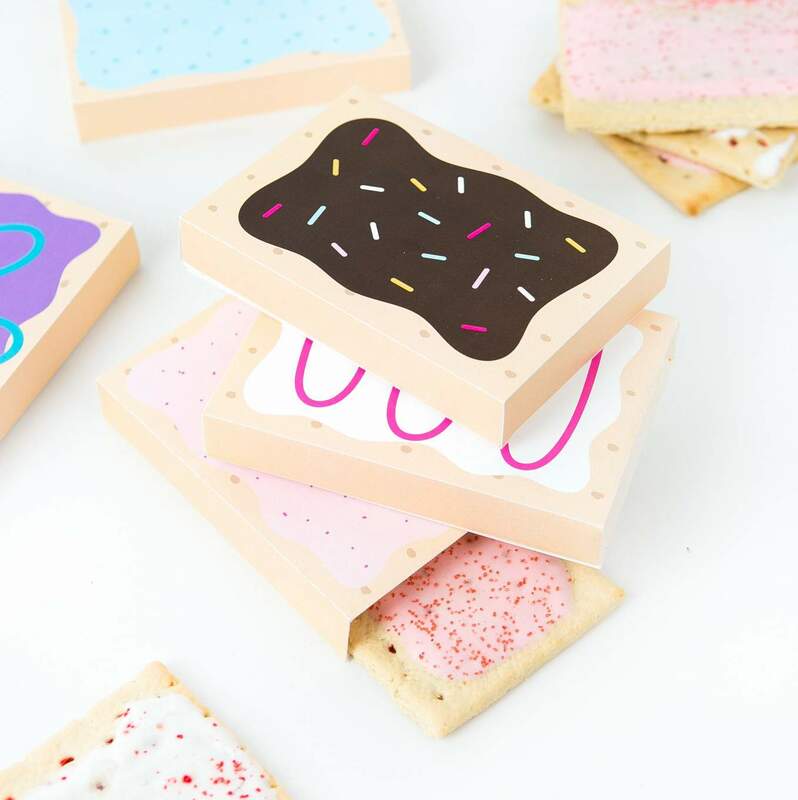 Perfect for birthday party favors or slumber parties, these Toaster Pastry Treat Boxes are sure to cure that sweet (and crafty!) tooth! 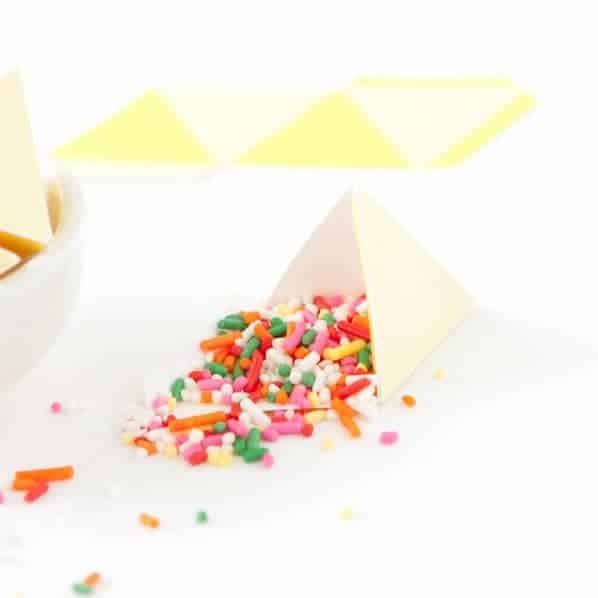 In a pinch and need an easy party favor idea? 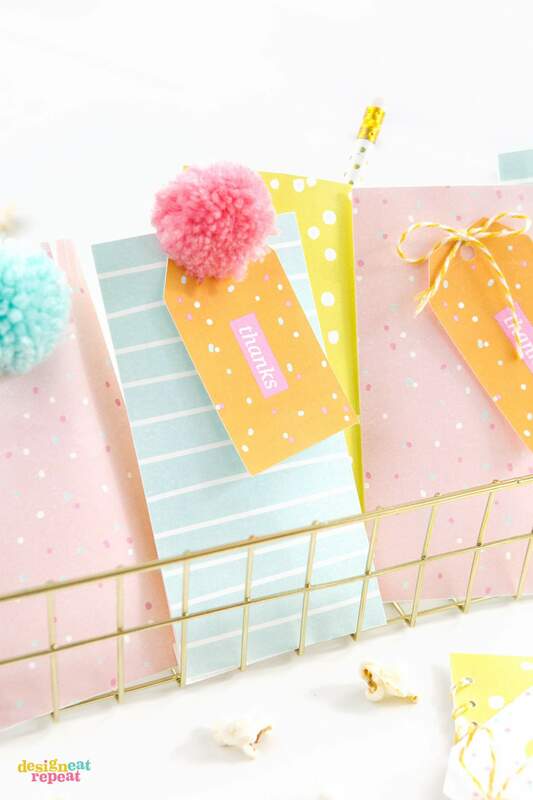 These Patterned Treat Bags require minimal cutting and are the perfect way to gift candy and other trinkets! Did someone say 90’s party? 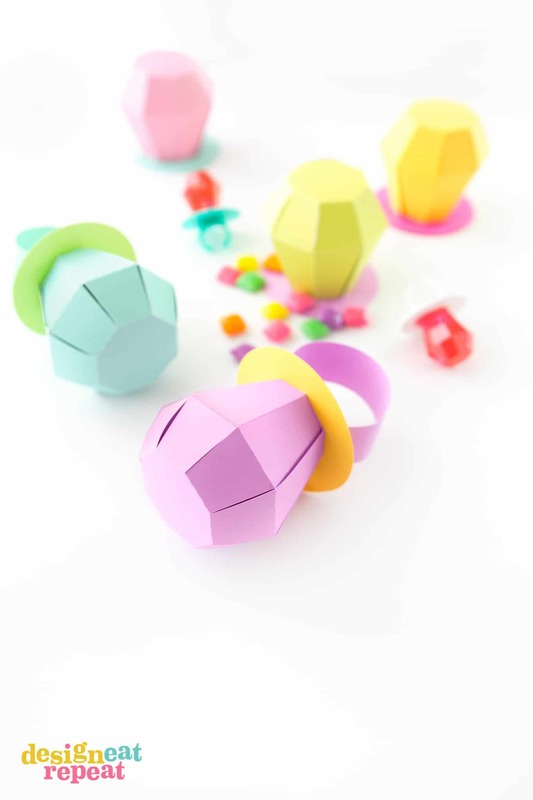 These DIY Ring Pop Boxes are not only the perfect way to gift candy, but they’d be the perfect 90’s party favor! 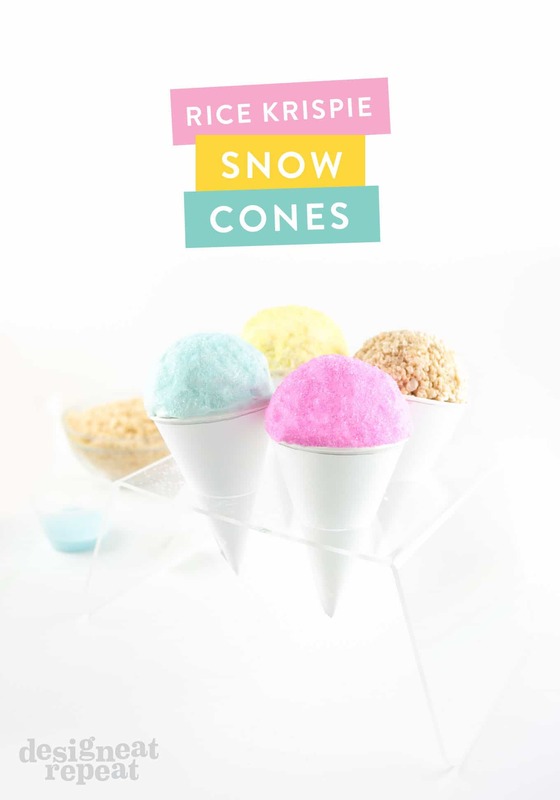 Rice Krispie Treats are good and all but have you tried Rice Krispies Snow Cones?! 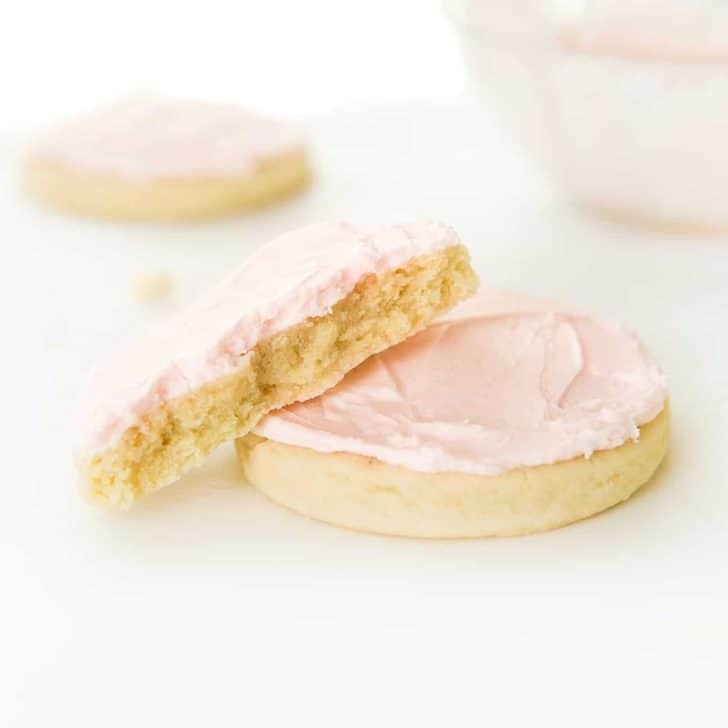 Slip these cuties in a plastic bag, tie closed with string, and you have the perfect summer party favor! 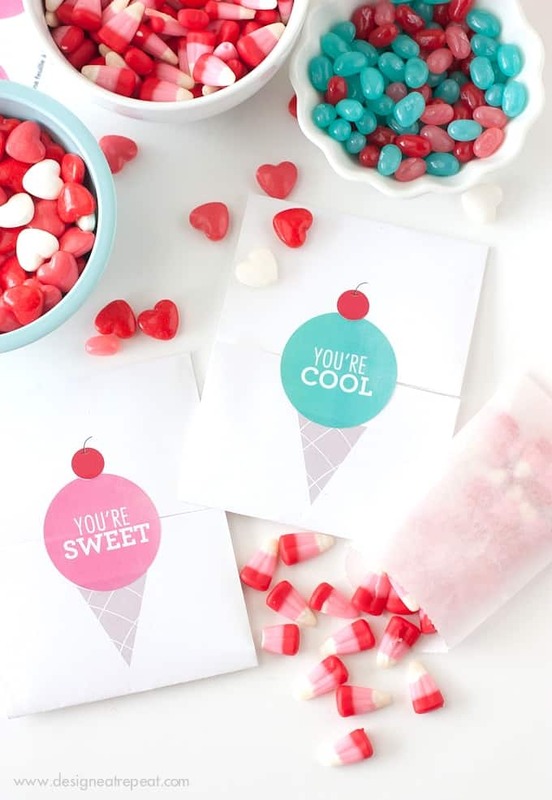 If you don’t feel like handing out candy for your next party, cut out a bunch of these Printable Memory Game cards, slip in a plastic bag, and send the kids home with something that will keep them busy for at least a few hours this summer! 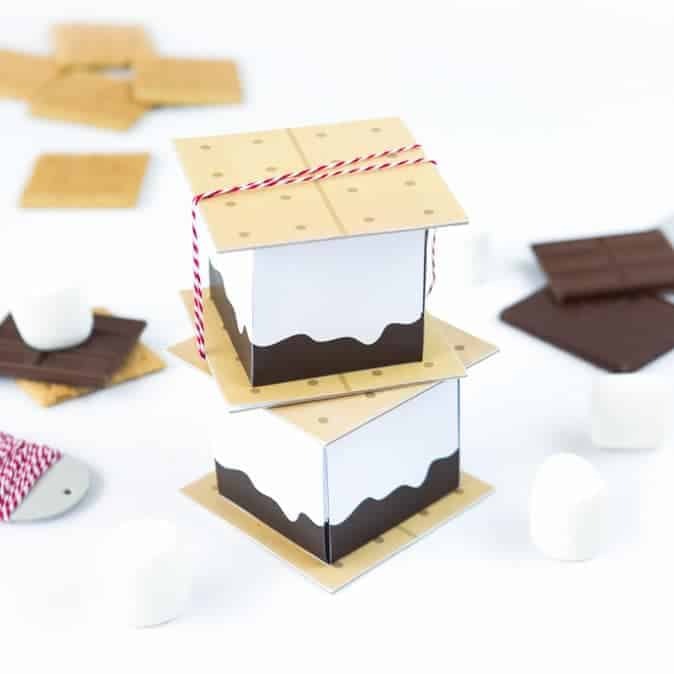 I can’t think of any occasion chocolate isn’t welcome, so if you want to send your guests home with the JACKPOT, these Printable S’mores Treat Boxes are sure to do the trick. 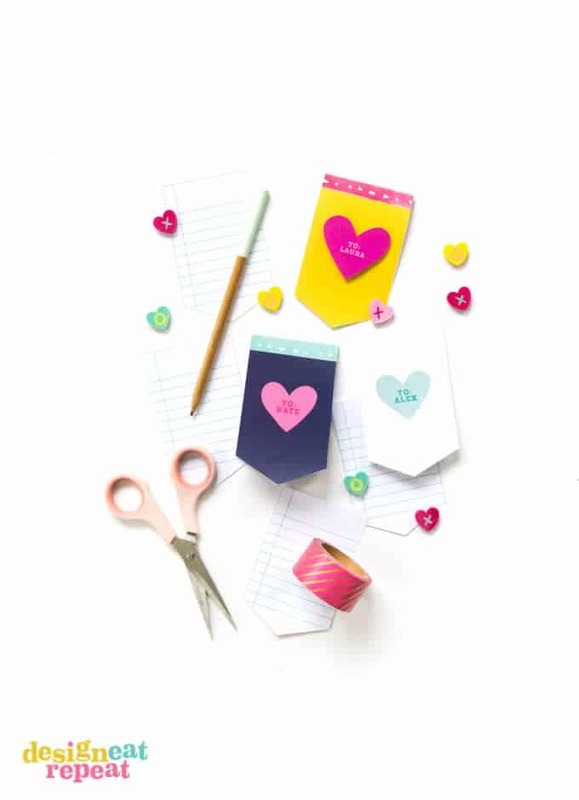 If you’re not feeling like loading the kids with sugar, print off these Printable Notepads and pair them with a cute pencil for the perfect non-candy party favor! 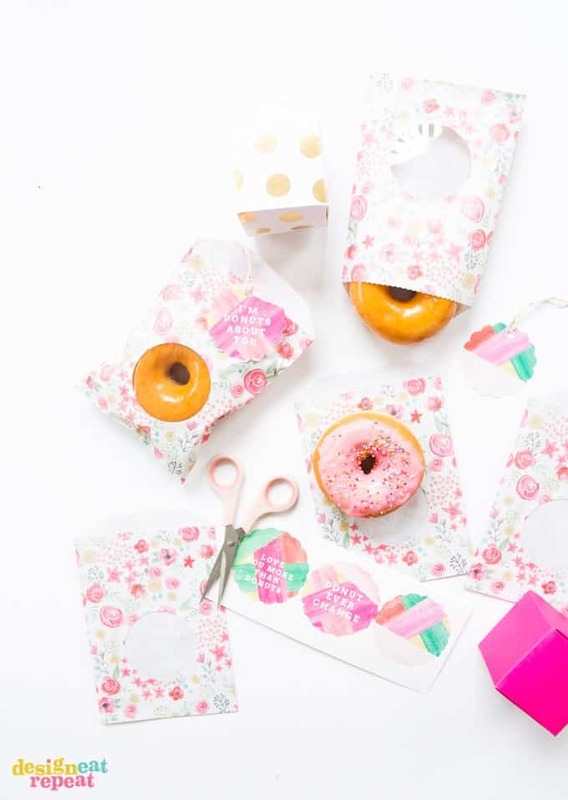 Few things are better than donuts, so send your friends out the door in style with your favorite donut in a cute treat bag and Watercolor Printable Gift Tags! 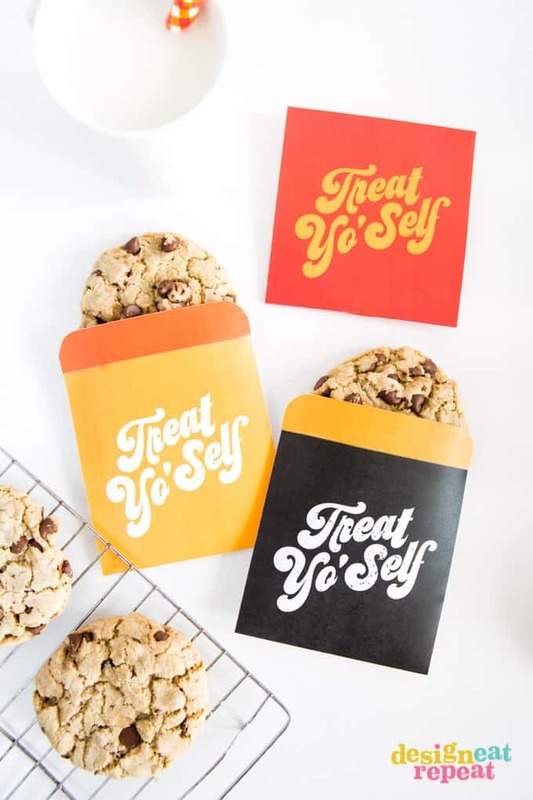 I don’t know anyone who would turn down a cookie and with these Printable Treat Bags, you can treat yo’self AND your friends! 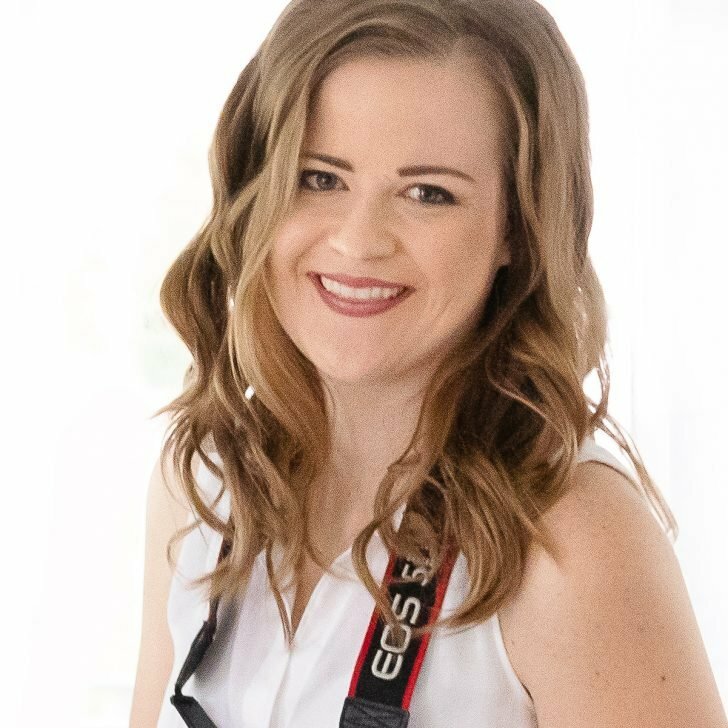 The circus coming to town? 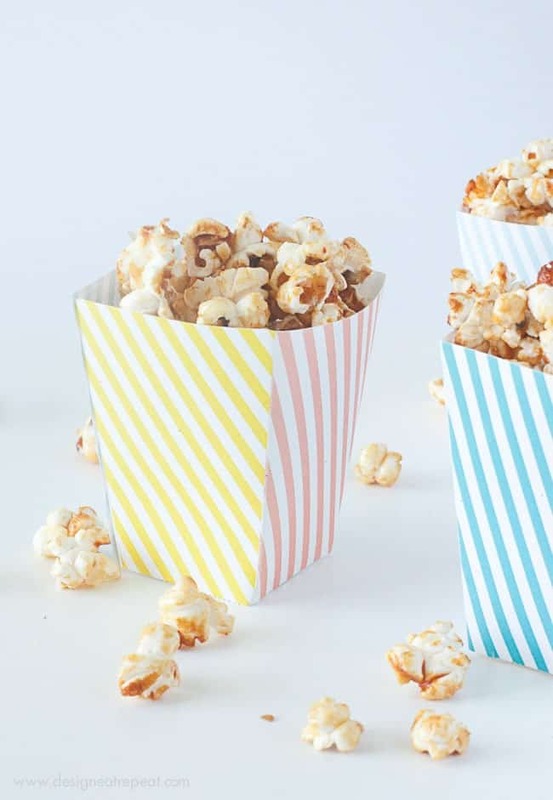 These Printable Popcorn Boxes would make the cutest circus party favor. 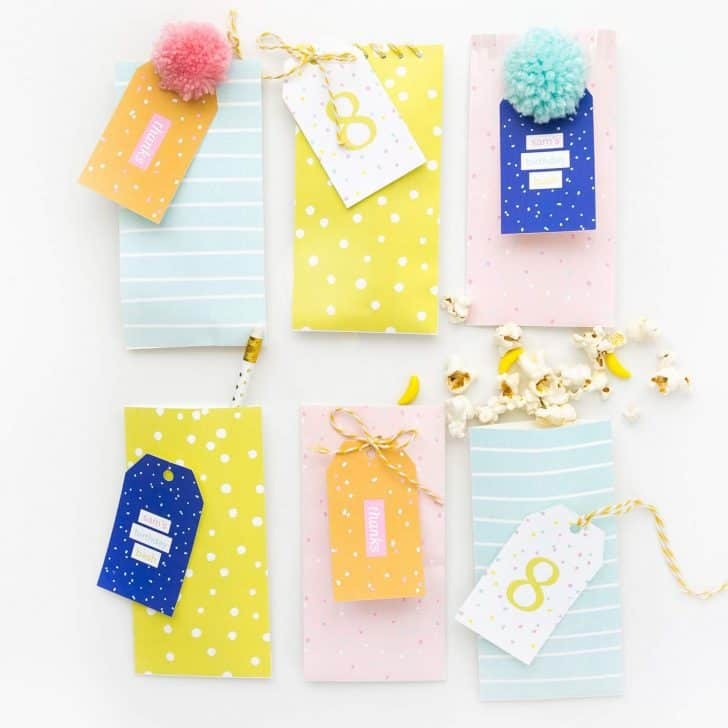 Pop them in a plastic bag with a cute gift tag and you’re off to the races! 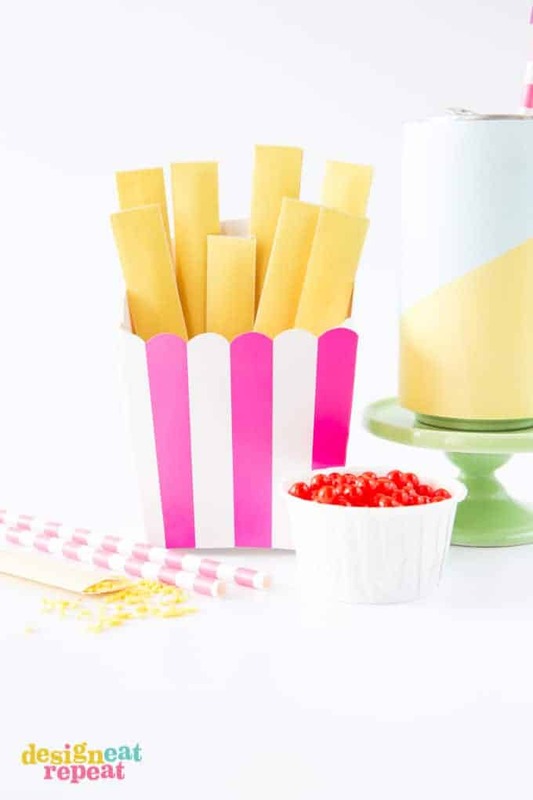 Everyone loves sprinkles and everyone love fries, so why not send your guests home with a box of DIY Sprinkle Fries! 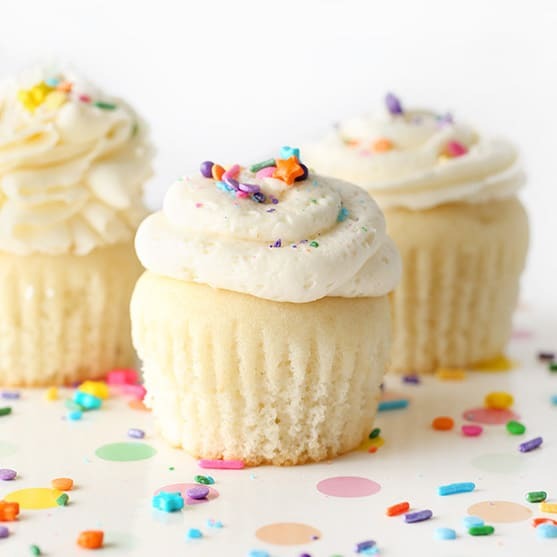 Fill each pouch with sprinkles and your guests will have cupcake and ice cream toppings on-hand for months to come! 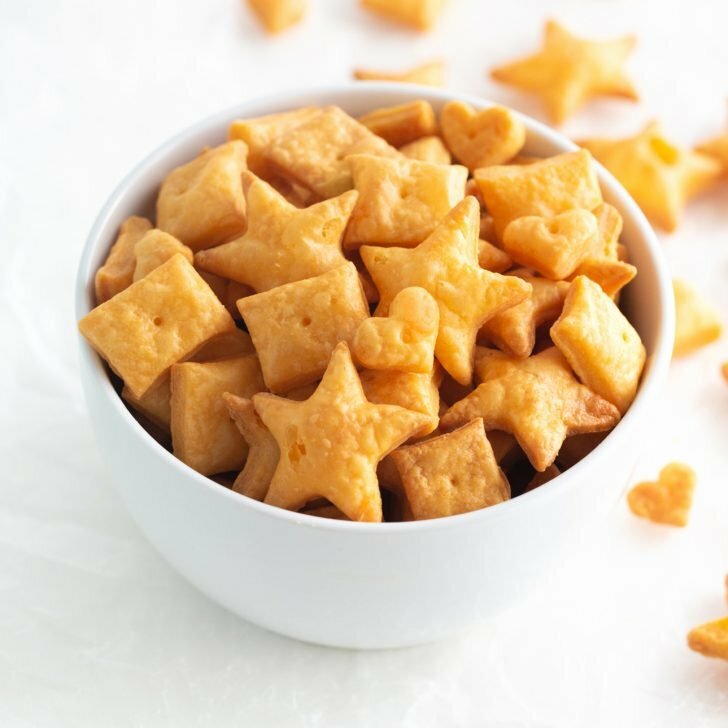 If you don’t feel like turning the oven on, these no-bake Candy Button Graham Cracker Bars are the perfect treat! 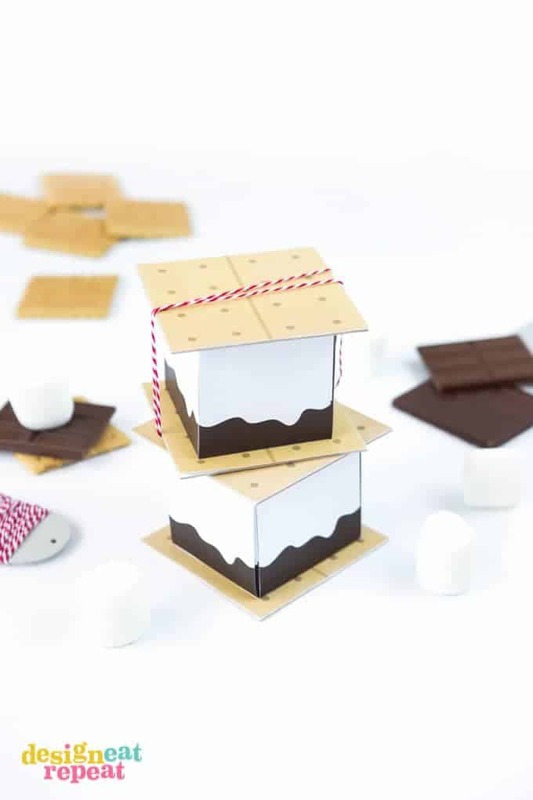 Slip them in a polybag with a cute tag and watch a boring graham cracker transform into the perfect party favor. And summer wouldn’t be summer without a good ol’ lemonade party! 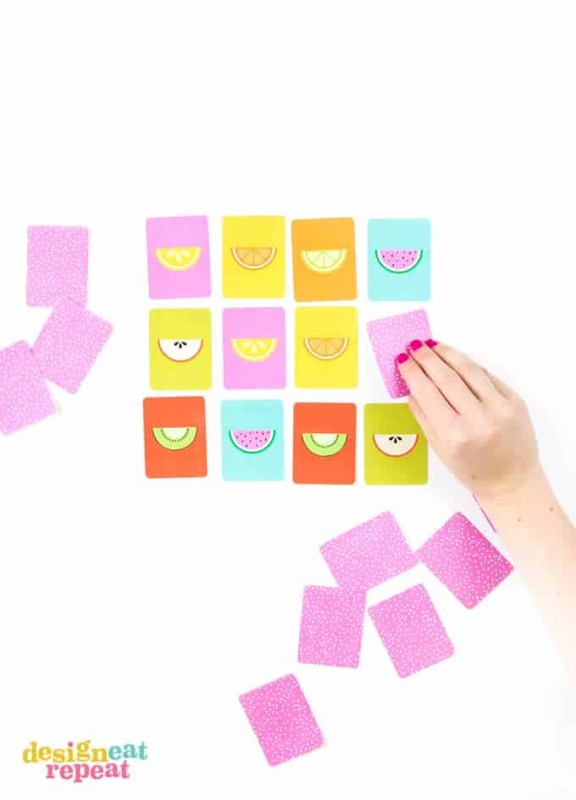 Print off these Lemon Printables and attach to cup of gumballs (or candy!) 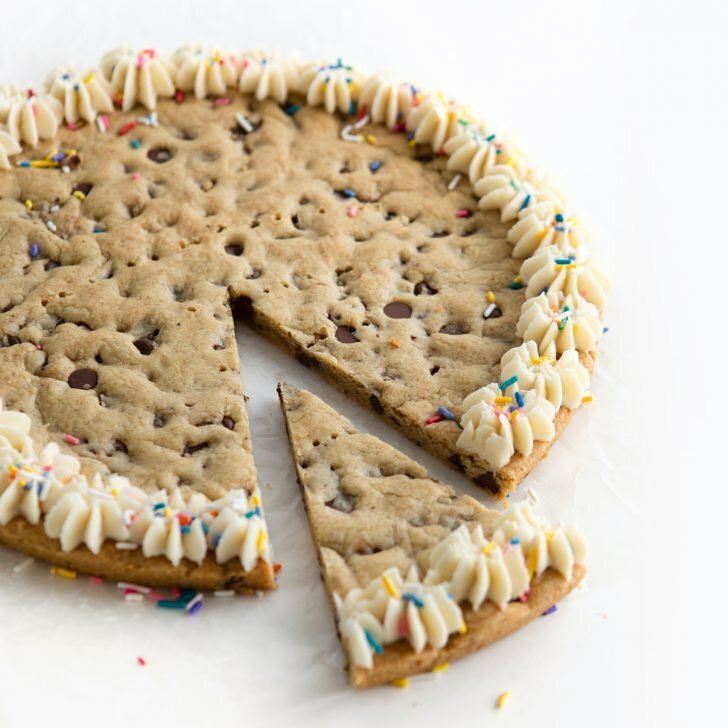 for one of the sweetest party favor ideas in the neighborhood. 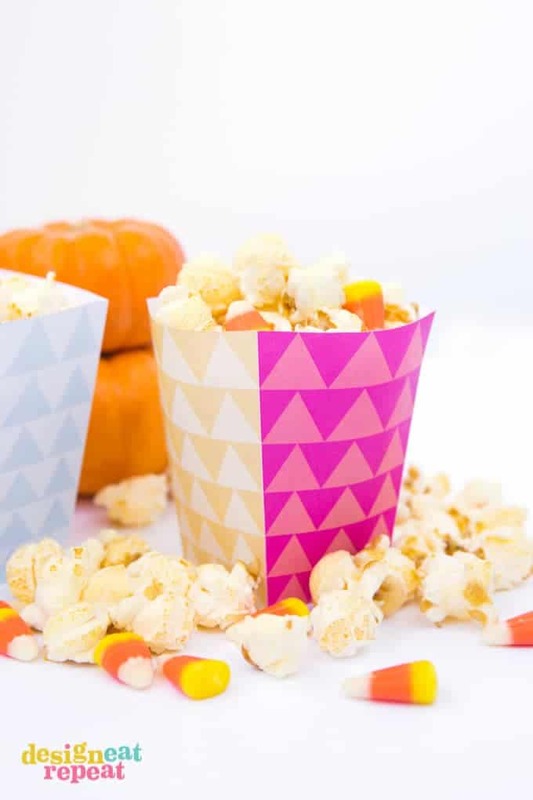 Popcorn is a fun baby shower party favor, as you can easily slip these Printable Popcorn Boxes in a plastic bag with a “ready to pop!” gift tag! 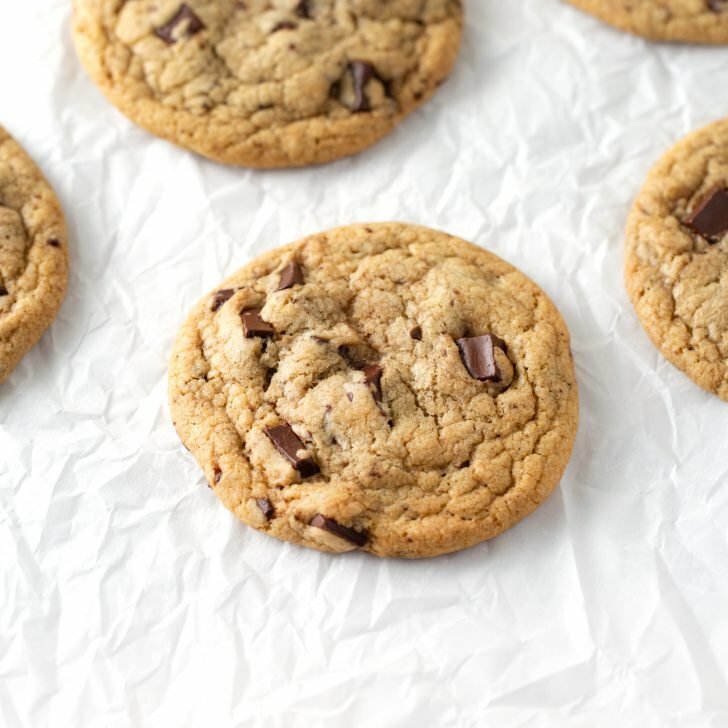 Sending guests home with more food after eating tons of food is the only way to go. 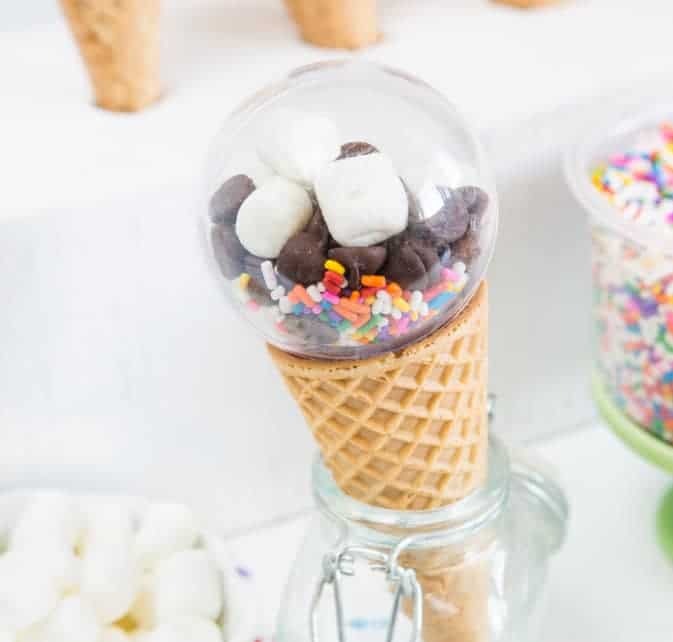 With these Ice Cream Party Favors, you can send your guests home with everything they need for a killer ice cream treat. 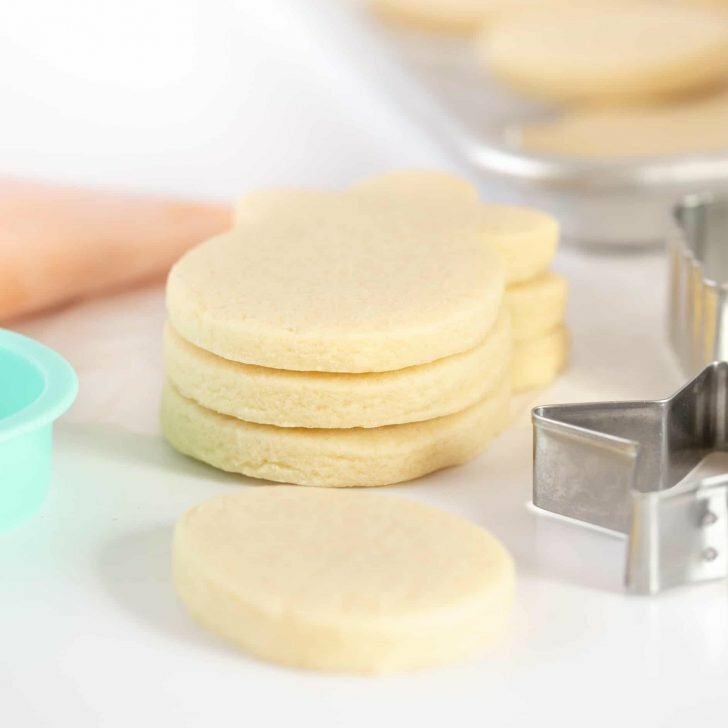 Once assembled, just slip in a plastic bag with a cute tag! 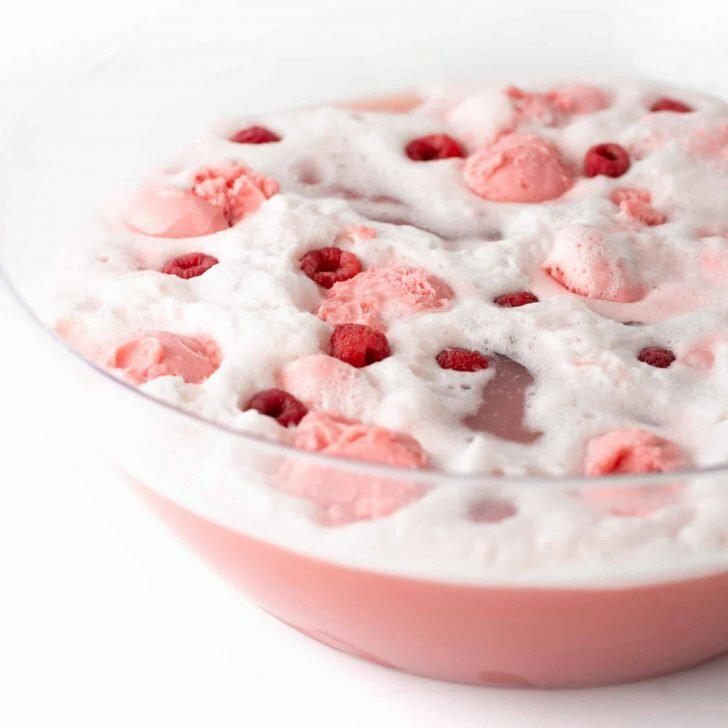 And last but not least, it wouldn’t be a Design Eat Repeat roundup with watermelon! 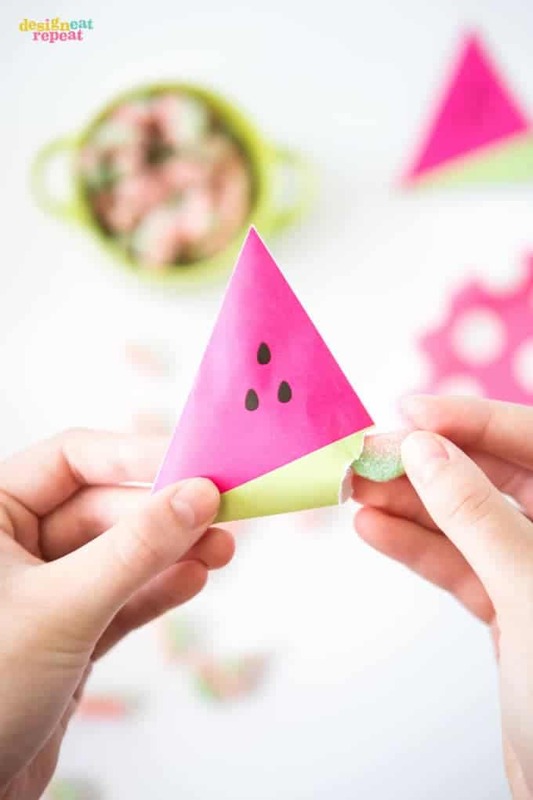 Print these Watermelon Treat Pouches and fill them with sour watermelon candy for the perfect way to top off that summer party!